This was the most requested Christmas song while I was working with the Festive Brass. And luckily, this arrangement doesn't disappoint! New Orleans Swinging Street Band pretty much says it all. And it is not too hard to play, either. The notes don’t go very high (a 'G' on top of the staff for trumpets, and an 'F' above the staff for lead trombone) and stay in the staff most of the time. The low trombone voice is playable without an F attachment. A drummer or some percussion could also be used to add excitement. 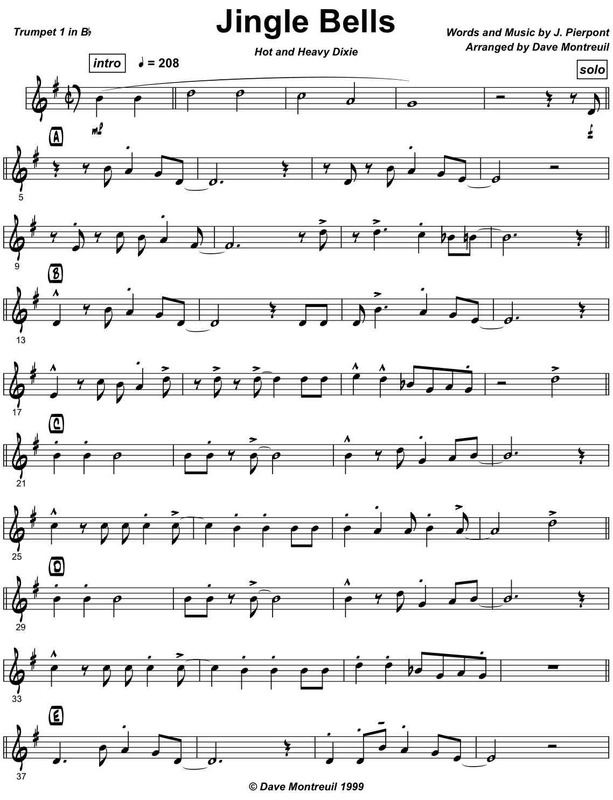 The duration of the song is under 2 minutes, but sections can be repeated as needed. This song is a great way to end a Christmas performance! Right click here to download the playback for Jingle Bells Brass Quartet.